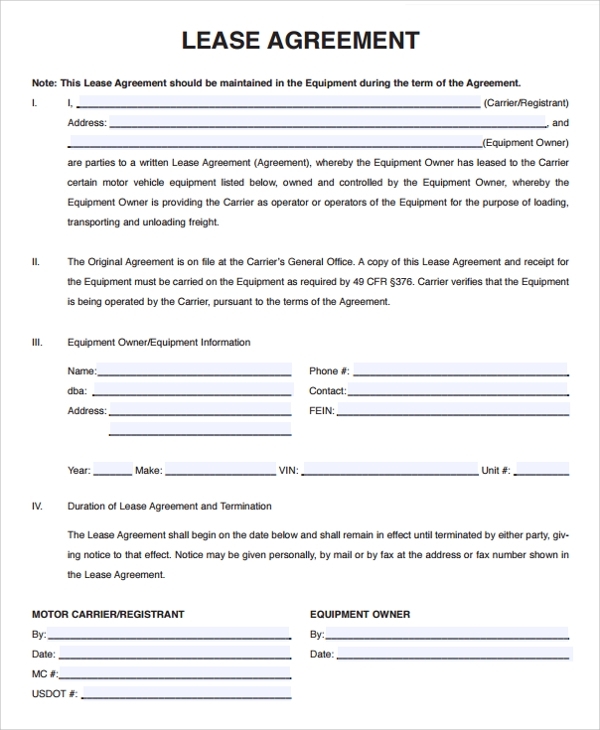 There are several uses of owner operator lease agreements. 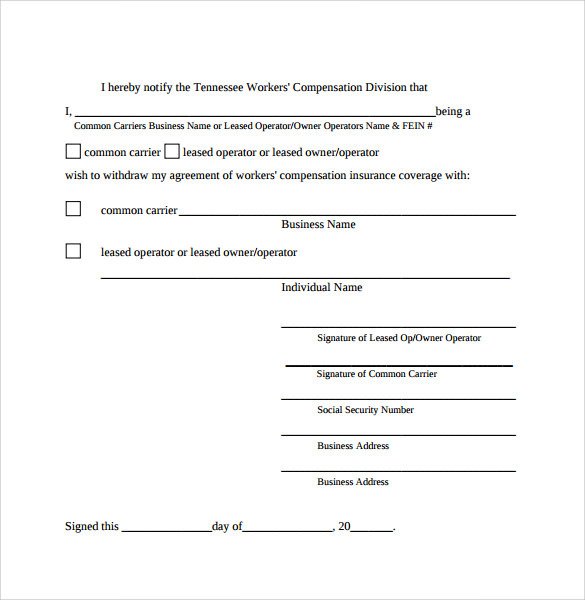 Owner operator lease agreements serve as a mutual contract agreement between the owner of a heavy vehicle and the person who want to hire or rent the heavy vehicle for fulfill his own purpose. 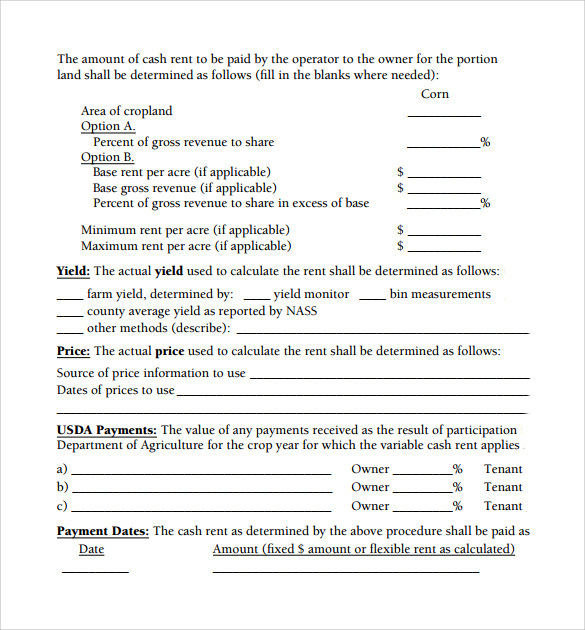 It maintains a peaceful understanding with its rules and regulations between the two parties who want make the agreement. 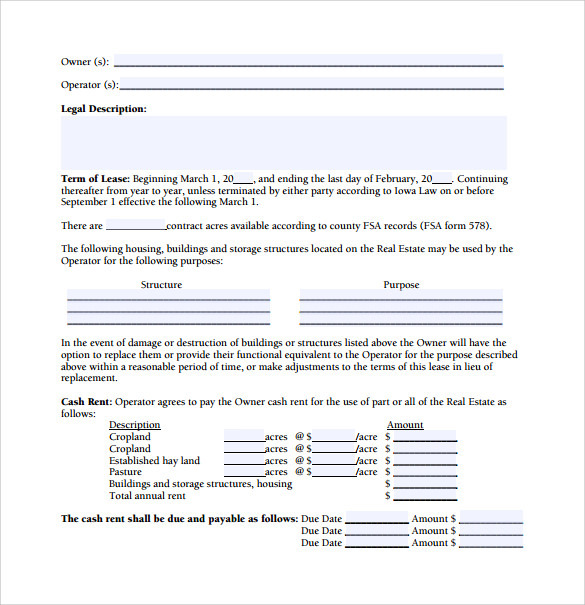 You may also visit home lease agreement templates. 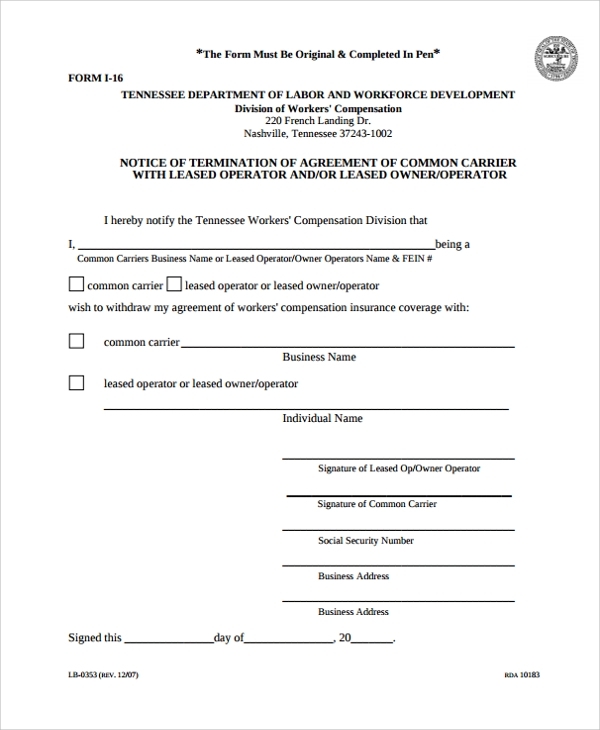 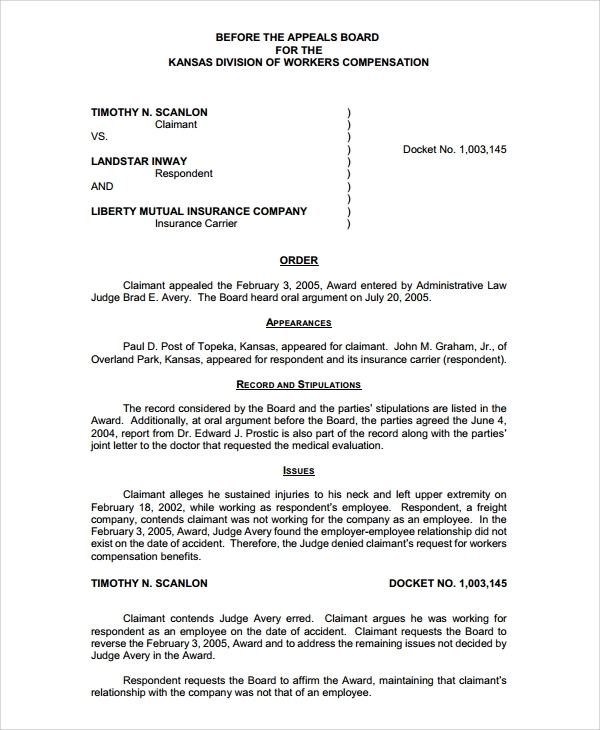 When is An Owner Operator Agreement Needed? 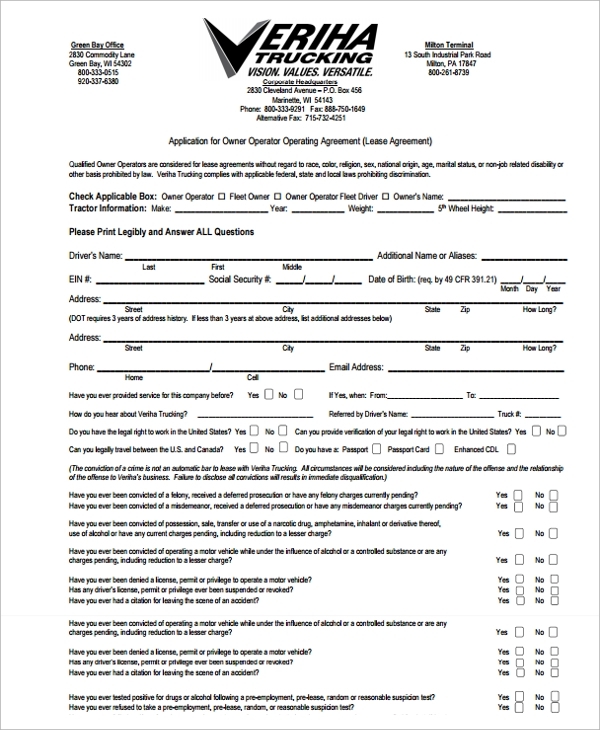 Whenever a heavy vehicle company or any individual person who owns a heavy vehicle wants to let another person hire the heavy vehicle, an owner operator lease agreement is very necessary to be made between the two parties. 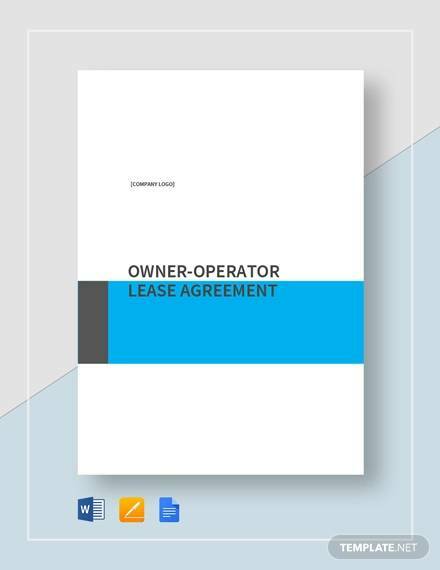 The owner operator lease agreement needs to come with different rules or terms to be followed by both parties, printed on the agreement paper. 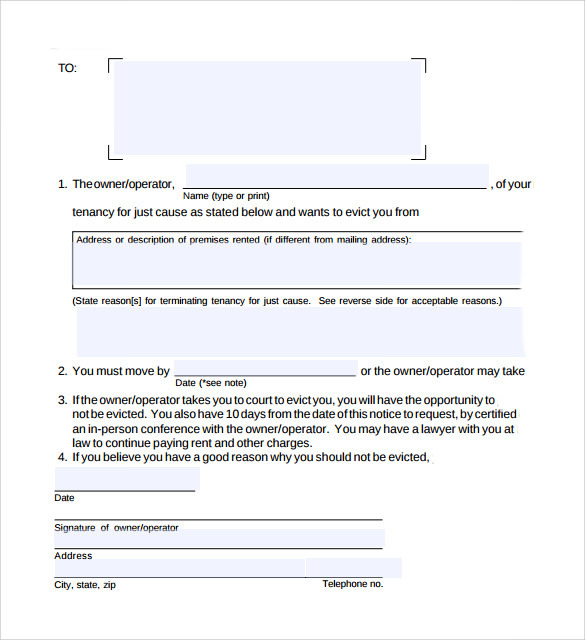 You can check house lease agreements. 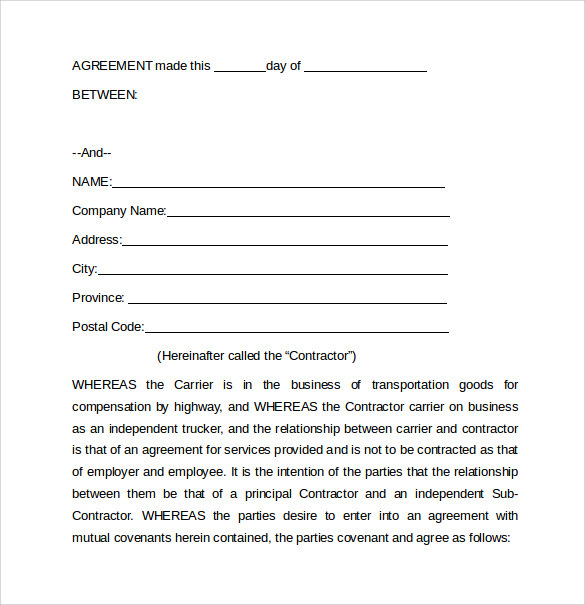 When there is the need for an owner operator lease agreement, the person hiring the heavy vehicle should always check that the owner of the heavy vehicle has made the terms and conditions according to the law. 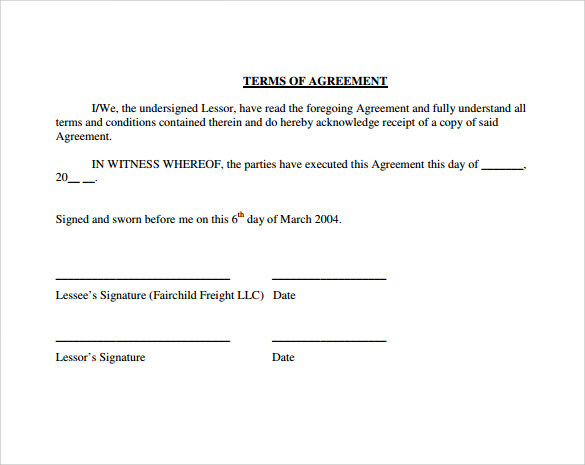 Also the agreement should be made in the presence of a third person or third party who also has to make a signature on the agreement papers. 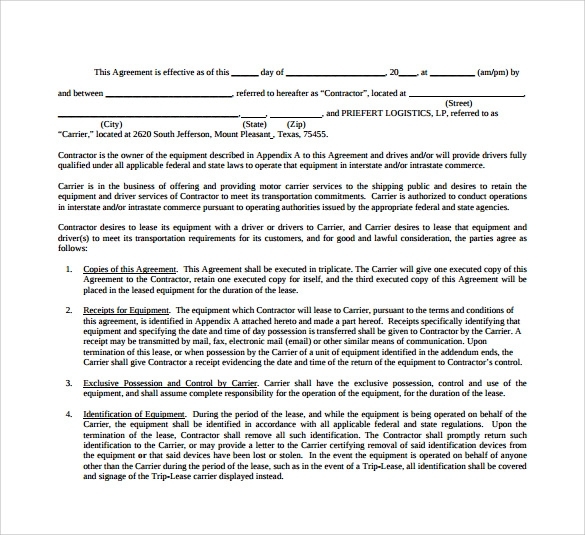 You also see net lease agreement templates.